We are in the midst of December and holiday time is upon us. I love the twinkling lights, the scent of pine and cinnamon in the air, the sound of joyous caroling. Kind of odd for a nice Jewish girl, no? It’s true—I do not celebrate Christmas as a religious holiday, but I love Christmas time. I know that sounds strange, but I don’t think it is, really. I mean, what’s not to like? Sparkly decorations, beautiful music, yummy treats to enjoy… It is the most wonderful time of the year, after all. I especially enjoy this time of year when Chanukkah and Christmas actually overlap, so I feel that my holiday is part of the holiday season. That being said, you may not know that Chanukkah is a pretty minor Jewish holiday. It is not even remotely equivalent to Christmas in religious importance, but it has been elevated in “status” because it usually falls in December. Growing up in the D.C. suburbs, my classmates were a mix of religions, races, and ethnicities. I grew up with kids from lots of different backgrounds, some of them like mine and many different from my own. Being Jewish was not unique within my school. About half of my classmates also celebrated Chanukkah. This was not abnormal. My Christian friends came over for latkes and sufganiyot (jelly doughnuts) and invited me over to help decorate their Christmas trees. I never felt different or excluded. Now that I am a mother, the holiday season feels full of landmines. Explaining to my boys why we don’t have a tree, or who Santa is, or why we are not getting any more presents (thanks a lot, Thanksgivukkah), feels difficult and often frustrating. As we turn the corner into our subdivision, the boys yell, “Christmas lights!! !” and oooh and ahhh over the decorated houses. Although I love the lights, too, I feel the urge to tell them over and over, “Yes, they are beautiful, but we don’t celebrate Christmas, we celebrate Chanukkah.” This statement is often met with whining and questions: “Whyyyy??? Why don’t we get Christmas presents?? ?” Yes, it all comes down to the presents when you are four and five years old. Of course, for Christians, Christmas means much more than lights and trees and Santa Claus. These conversations over the past few weeks have made me think carefully about our students. I grew up in a school with many other children who were just like me, and because it was public school, there was no holiday party or Christmas activities in the classroom. I feel for our students who are in some way different from the majority and may be the only diverse student in the room. This year I have only one student who does not celebrate Christmas. Does she feel left out of the snack time conversations about Christmas trees and presents? Should I single her out to share her own family’s traditions? Will this make her feel more included or just highlight that she is different from her peers? Is it easier for her to share because she knows that I am Jewish, too? I don’t know the answers; I think they are different for every child. My own children brought menorahs, books about Chanukkah, and chocolate gelt (coins) to their respective classrooms this year to share with their peers. While my younger son was incredibly excited about this opportunity, my older son was less than thrilled. He was not interested in talking to his class about Chanukkah. While this did not surprise me given his more reticent personality, I was grateful that his teacher valued diversity and our family enough to share the items herself and teach the class a little bit about our holiday, although it is not her own. During the holiday season are we, as teachers, aware and sensitive that we do have religious diversity, even here at Trinity School? Do we engage in fun activities that revolve around Christmas trees and Santa Claus, or do we keep things “winter-themed” with snowflakes and snowmen? Do we expose children to other holidays, such as Chanukkah and Kwanzaa? What if all of the children are Christian? Does that mean it’s okay to stick to Christmas and “skip” the other holidays, or do we need to expose the children to other cultures and traditions? I’m pretty sure I’ve done this is the past when I haven’t had any Jewish students, feeling relieved that no one will feel left out. I wonder how teachers can make all students feel comfortable, included, and still honor their differences. Diversity is a topic we are all thinking about and talking about this year, but it is topic that we are often afraid to discuss for fear of saying something that offends someone. Just in writing this post, I asked five different people to proofread it and give me feedback, because I was so worried about saying the wrong thing or being offensive in some unintended way. Honest and open conversations are vital to having a school culture that values each other’s differences. Again, I don’t have the answers to these questions; rather, I raise them to spark a conversation. I value your thoughts and feedback, Trinity family. I hope in the comments you will share how you handle this time of year in your classroom, especially in light of our recent conversations about diversity and culture competency. Over winter break, I look forward to spending time with my family. Just as during your Christmas celebrations, there will be love, good food, and music to share. And, of course, what all Jews do on Christmas (maybe you don’t know this tidbit! ): Chinese food and a movie! Whatever winter holiday you celebrate, whatever your tradition, I wish you a happy, relaxing, peaceful, and joyous celebration. Samantha Steinberg serves Trinity School as a Second Grade teacher. She celebrates Chanukkah, but can often be found ooohing and ahhhing over her neighbor’s Christmas lights or heard singing Christmas songs in her car. When I’m not at school or “relaxing” with my boys, I am more-than-a-little-bit addicted to reading cooking blogs. I follow several blogs and drool over the beautiful pictures and read the recipes, thinking about which ones I’d like to try out one weekend. Several of the bloggers I follow do a “Things I’m Loving Lately” post every few months, which feature non-food-related items they’ve enjoyed lately and want to share—books, clothing, jewelry, outfits— anything that they think their readers might like, too. For this post, I wanted to share with other educators some apps that my students and I have been loving lately in our classroom. One of the big “take-aways” from attending the iPad Summit last month was the idea that our classroom iPads should be for “creation, not consumption.” Rather than having our iPads loaded up with a bunch of apps for students to play games, we should be using the iPads for students to create something that they can share with others. The following apps are ones that my class have enjoyed using to create and share. We hope your students enjoy them, too! 1. My Story ($2.99) – This app allows students to create their own books. The illustration part looks similar to Kid Pix. The thickness of the “pencil” can be changed, or children can change from pencil to paint mode for a different effect. Instead of illustrations, pictures from the camera can also be used. A short amount of text can be added to the page, and children can record their voices telling the story. The final book can be shared to iBooks. So many possibilities! 2. 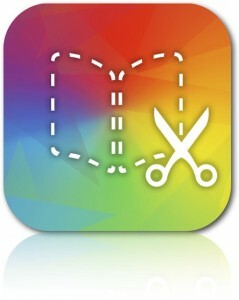 Book Creator ($4.99) – This app is similar to My Story; however, there is no drawing option within the app. Instead, students can use pictures from the iPad’s camera to create a book. Text and sound can also be added. If students want to draw, it is easy to use Doodle Buddy or another drawing app to create a picture, save it to your camera roll, and then use in Book Creator. Simple! The final product can be shared to iBooks. 4. Strip Designer ($2.99) – This app uses your pictures to create a comic strip. You can choose from a wide variety of layouts, add pictures, and then add word balloons, stickers (POW! ), and other text effects to create a comic-book style story. Although I haven’t tried this one out with kids yet, think about how engaged your class would be if they created comic strips to showcase their content knowledge. Way better than an essay and more fun to grade, too. Imagine the possibilities! Final products can be emailed as a PDF file, added to your photos, or shared on Facebook and Twitter. 5. Twitter (FREE) – Use our community hashtag, #TrinityLearns, to highlight and broadcast the #brightspots in your classroom each week. Share ideas and successes, collaborate with colleagues, and connect with other classrooms. It is amazing how many like-minded educators from all over are sharing ideas using this social media app. If you are not on Twitter, give it a try. I promise you will learn something new! Try out these cool creation apps in your classroom for engaged, energized, connected students. Of course, these are just a few of the amazing apps that are available for your iPad. What are you and your students using and loving lately? Post in the comments, or better yet, tweet about it using the hashtag #TrinityLearns. I can’t wait to see what other Trinitians are creating! Learner, Thinker, Writer, Observer, and sometimes Tweeter: Samantha Steinberg serves the Trinity School community as a Second Grade teacher. Sometimes you have to start small. This week, I learned that sometimes you have to break lessons down into smaller steps. Baby steps. You have to learn to walk before you can run. Of course, I already know this rule. I’ve learned it before. I mean, it’s obvious, right? All good teachers know how to take a task and break it down into its simplest parts in order for children to understand and absorb it. But… I got a little overzealous this week while my Second Graders were exploring information text. The children were excited to research a question they had wondered. The goal was to find an answer to their question in our classroom library and use this information to create a poster. The students’ enthusiasm was contagious, and I was thrilled that they were so interested and engaged. We broke out the crayons, markers, and big white poster paper. 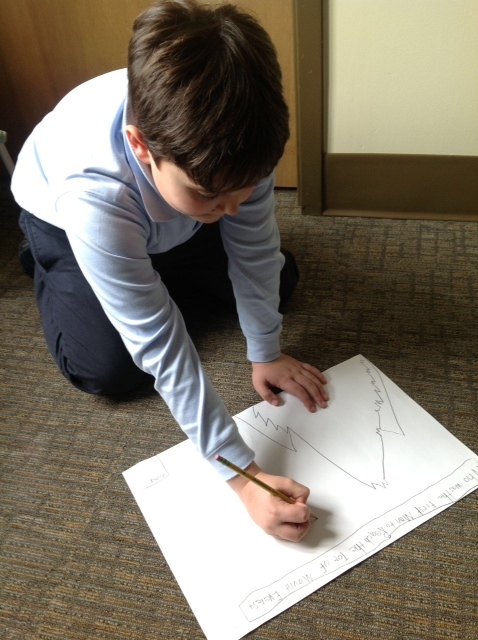 As I was conferring with the kids and reading their research, I realized that I had missed a step. A big step. An important step. In my zeal and enthusiasm, I had not taught my Second Graders how to organize their ideas into a coherent paragraph. Their posters were beautiful– they included headings, illustrations, diagrams, labels and captions, but the information was not well-organized and sometimes it did not even answer the question! So, what did I do? I stood in front of my class and confessed that I had made a mistake. “I was so excited!” I admitted sheepishly. And then we broke out the power writing umbrella organizers. Baby steps. You have to learn to walk before you can run. Baby steps. Also this week (but unrelated to my non-fiction misstep), I had a breakthrough in my technology learning. I created my first iMovie. Without having any prior experience with this software, I visited a colleague’s classroom and watched her create a movie. “Hmm. It looks easy enough!” I thought to myself. However, when I opened iMovie on my own, without anyone there to support my learning, it was not nearly as easy as anticipated. I played around unsuccessfully for a few minutes and then recalled Ashley’s post from earlier in the week. Yep, I googled it. After watching a tutorial online (which, by the way, was created by a boy who looked like he was in sixth grade), I was finally able to put my imported video clips in order. I had to watch the video a few times to see the steps broken down for me. Once I got the hang of using this new tool and gained confidence, I figured out ways to improve my very basic movie, such as adding titles and even short music clips. To say I was proud of myself is a HUGE understatement. Is it the most professional, seamless movie? No. Is it a successful first effort? Absolutely. Now that I’ve made an iMovie, I can certainly use this tool again and expand on what I learned. “Hmm.” I mused. “This is how our kids feel when they get it.” All learners, whether children or adults, need to start small. Learner, Thinker, Writer: Samantha Steinberg teaches Second Grade at Trinity School.